This shop only has seats at the counter, and its homely atmosphere is completed by the crowd of regular customers. 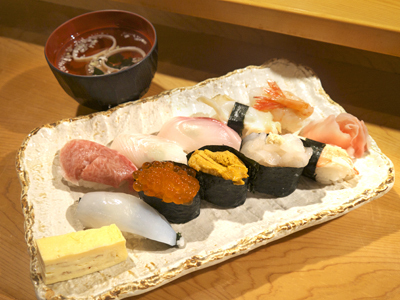 Its proximity to Toyama Station and its late-night hours are sure to please many. Come drink and eat sushi to your heart's content here.